How adorable is this??! 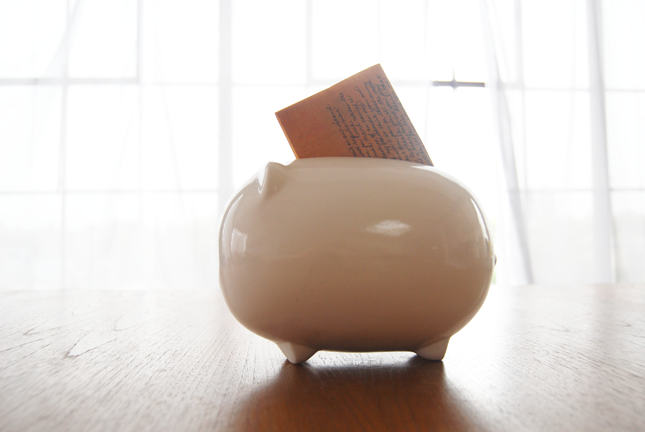 A piggy bank to save mementos instead of money; keepsakes like ticket stubs or love notes. I collect fortunes out of Chinese fortune cookies. These tiny strips of wisdom tend to get lost among all my other odd treasures. Now, instead of stuffing them into drawers or shoeboxes, I can put them into a Memory Bank. Genius. Designed by Jessie Phillips Anderson.